In a move that will cut costs and shed jobs, Volvo Construction Equipment is to stop the development and production of its Volvo-branded backhoe loaders and motor graders, instead handing the products over to its Chinese company SDLG. Volvo's BL71B backhoe is one of the products to be discontinued. Volvo CE’s motor graders are currently built at the company’s plants in Shippensburg, Pennsylvania, and Pederneiras, Brazil. Backhoe loaders are manufactured in Pederneiras and Wroclaw, Poland. The latter factory will now be closed. In a statement, the Swedish company — whose products are distributed in Australia by CJD Equipment — says: "As communicated in conjunction with the report on the third quarter of 2014, further cost-saving measures will be implemented in Volvo Construction Equipment (Volvo CE) to adapt the cost structure and to address the profitability of certain products. "A review of the operation has now been performed, resulting in the decision by Volvo CE to discontinue product development and production of backhoe loaders and motor graders in Europe and Americas and transfer these operations to its Chinese company SDLG. "Combined with other efficiency enhancement measures, this will result in a workforce reduction of about 1,000 employees, of whom the majority are in Poland, the US and Brazil." 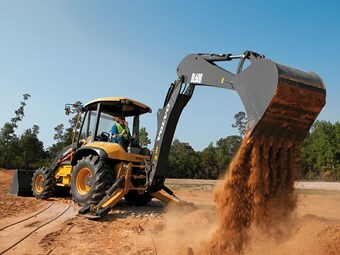 The company says its current high-tech, high-spec product lines of backhoe loaders and motor graders have been aimed at "a relatively small premium segment of the market". The SDLG-branded products, on the other hand, are expected to be less highly specced and more affordable … or, as Volvo CE puts it, "will better serve customer demands in the large and growing value segment of the market". The company goes on to say that "the measures within Volvo CE are a part of the series of new activities within the increased scope of the group’s Strategic Program 2013-2015, which was published in conjunction with the report on the third quarter 2014". "Combined, these activities are expected to reduce the group's structural costs by SEK3.5 billion (A$540 million). Together with ongoing activities, the ambition in the Strategic Program is to reduce the group’s structural costs by SEK10 billion (A$1.5 billion) compared to 2012 and that all activities are implemented by the end of 2015 with a full-year savings-effect in 2016."